The aim of this course is to help students realise that social factors have a considerable influence on oral/ dental health and dentistry. Social, economic and cultural factors have a great effect on the dentist-patient relationship, the way people make sense of their symptoms and seek dental help, their oral/ dental health related behaviour as well as on the aetiology of oral and dental conditions. By understanding how different societies are structured and organised and how the categories people belong to (gender, ethnicity, occupation, educational level, financial situation to name but a few) shape all aspects of their lives and opportunities, our hope is that students will better comprehend the social reality influencing the dental health status of people and the practice of dentistry for dentists. No less than 75% of all classes must be attended. One practical absence can be made up by undertaking an extra task set by the practical leader or by participating in the practical with another group. 1 Written midterm test in week 7. on the materials covered in the lectures. 30% of the final grade. The material needed to study will be made available on the departmental homepage. 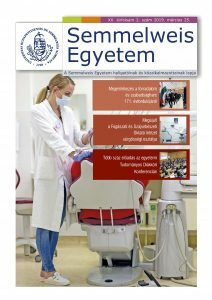 The lecture notes are made available on (www.magtud.hu).